If you have a growing family and you’re considering a move to a minivan, why not choose the van packed with the luxury and comfort your family deserves? 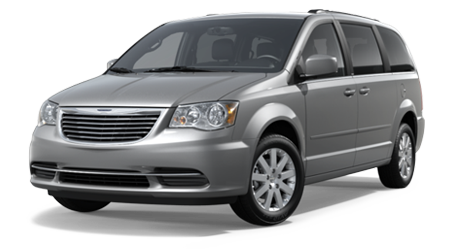 The 2015 Chrysler Town & Country minivan has been one of the best-selling passenger vans for over three decades! In the Town & Country, you’ll find more standard premium features than any other minivan on the market. When you’d like to learn more about this spacious and luxurious family hauler, visit Woody Folsom Chrysler in Baxley, GA. In fact, why not bring the entire family down to test drive – and test out – all the technology and convenience features of your next minivan? Every 2015 Town & Country is powered by Chrysler’s 3.6 liter Pentastar V6 engine, mated to a 6-speed AutoStick® automatic transmission. You may not expect powerful passing power from a minivan, but in the Town & Country that’s exactly what you’ll find. This people mover’s Pentastar V6 pumps out a whopping 283 horsepower and 260 lb-ft of torque – that’s plenty of power for any amount of kids or cargo you might be transporting. You don’t have to sacrifice fuel-efficiency when you drive this spacious and powerful van, as the Town & Country achieves an EPA-estimated 17 city/25 highway mpg. Isn’t it about time to trade in your family’s current vehicle for a spacious and luxurious minivan? If you’re near Pine Grove, Graham, Dublin, Savannah, Jacksonville, and Brunswick, GA, visit Woody Folsom Chrysler in Baxley, GA to test drive Chrysler’s iconic luxury minivan. Your family will thank you when they’re comfortably cruising around Georgia in a 2015 Chrysler Town & Country!